Remember those wonderful carefree days when you played outside? It would get gradually darker and colder, and you were desperate for the loo, but you couldn’t tear yourself away from the outdoor games. In the Yorkshire Dales your children have the chance to go free-range! Here are our suggestions for family fun activities and things to do with children in the Yorkshire Dales. 1. Be king of the castle at Skipton Castle and look out for the Long Drop. 2. 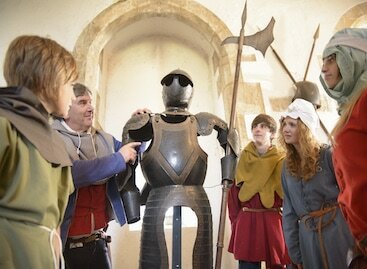 Pretend to be King Richard III at Middleham Castle. 3. Imagine being a Norman invader at Richmond Castle and look out for the prisoners' graffitti. 4. Take a gruesome delight in the dungeons at Bolton Castle, explore the maze, watch archery displays, spot the wild boar and climb to the top of the tower for stunning views. 5. Just outside the Dales you'll also find Markenfield Hall, a perfect medieval manor house complete with moat. 6. Ripley Castle on the route between Pateley Bridge and Harrogate even has a hidden priest hole. 7. Experience nature close up and fish for your supper at Kilnsey Park. 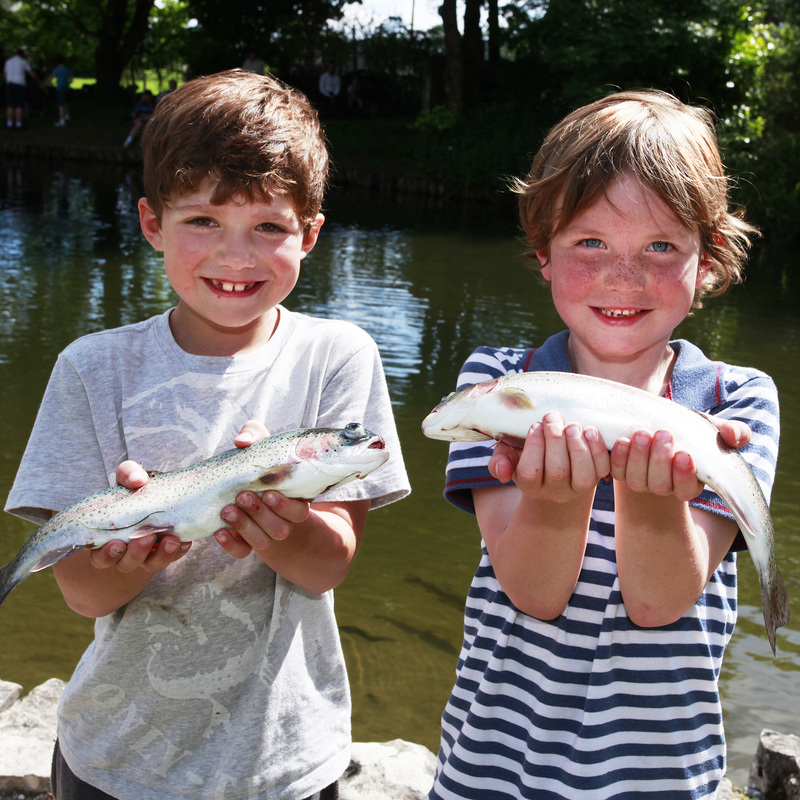 There's a new sculpture trail, geocache and water-play area and several animals to see. 8. Have an adventure at How Stean Gorge, where you can discover the thrills of the Via Ferrata and then reward your bravery with delicious meringues! 9. Younger children will really love the exciting adventure nature trail at Studfold Adventure Nature Trail, while adults enjoy the glorious views. 11. Meet farmer Chris and his animals at Hesketh Farm Park. ​12. Call in at the small but perfectly formed Keld Countryside & Heritage Centre to learn more about the surrounding countryside. 12. Scramble, climb and play hide and seek at Brimham Rocks, where there are all kinds of curious formations and shapes. There are secret dens and hidden haunts - great place for hide and seek. 15. 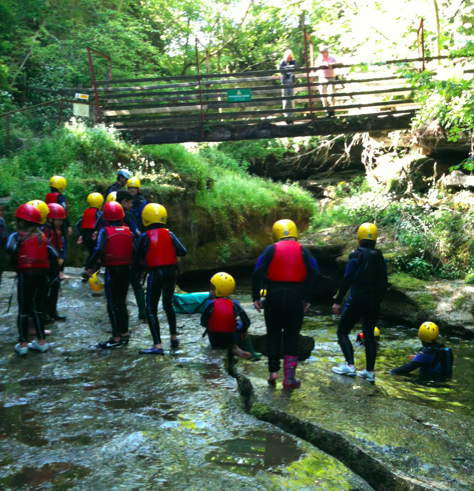 Learn to climb, cave and navigate with Yorkshire Dales Guides or Low Mill Outdoor Centre. ​16. Enjoy the excitement of a short trip on a heritage railway, maybe even steam-powered: choose from Settle-Carlisle, the Embsay and Bolton Abbey Steam Railway, and Wensleydale Railway. There are some railway events at Kirkby Stephen East station too. 17. Treat yourself to a trip to Brymor Ice Cream in Wensleydale, where there's an incredible range of flavours to choose from. 18. Billy Bobs is set in an old-fashioned diner, with a great playground for children to release their pent-up energy. 19. Archers in Richmond make delicious ice cream, and then you can wander along the river to walk off the calories. 20. At Birchfield in Nidderdale there are often special events on this working farm. 21. 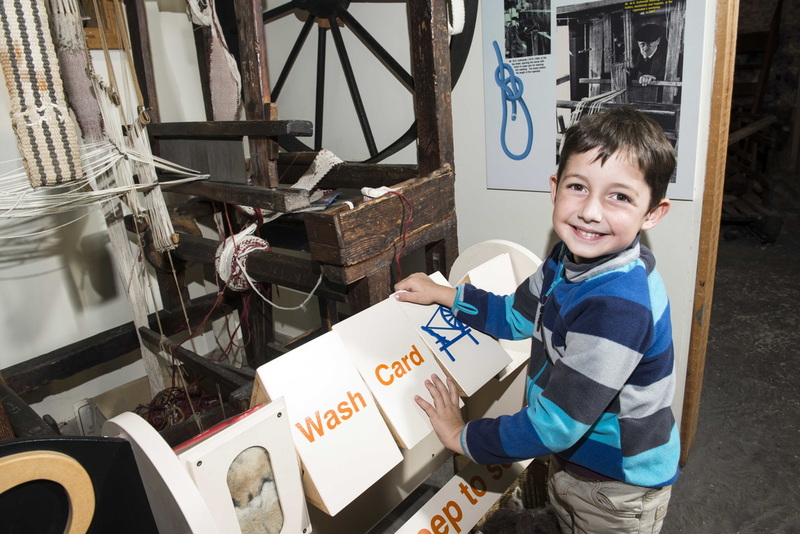 Go back in time at the Dales Countryside Museum, and see what makes the Yorkshire Dales special. ​22. Marvel at some of the quirky exhibits and historical curiosities on display at Nidderdale Museum, Craven Museum & Gallery, Grassington Folk Museum, Swaledale Museum, Richmondshire Museum and the Museum of North Craven Life at the Folly House in Settle. ​23. Follow in the footsteps of the monks at Jervaulx Abbey or Fountains Abbey. 24. Bolton Abbey Estate has over 80 miles of paths and acres of woodland and fields where children can run free. They can tackle the stepping stones, try one of the trails or go in search of the money tree. 25. Parcevall Hall Gardens are on a much smaller scale but equally enjoyable to visit, with paths to explore and places to hide. If you still have energy, look out for the strange creatures who're said to live in nearby Troller's Gill by Skyreholme. 26. Visit an art gallery, see artists and craftspeople at work and perhaps you'll want to create your own masterpiece inspired by the Yorkshire Dales landscape. 27. Tell tales! 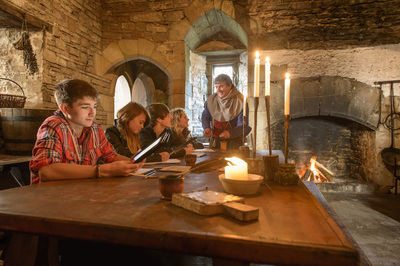 Enjoy the ancient art of storyteller - see what's on at Settle Stories. 28. Reward everyone with a trip to England's Oldest Sweet Shop in Pateley Bridge or Bah Humbugs in Masham. 29. Find a folly - go in search of Druid's Temple near Masham. 30. Explore a secret underground world at Ingleborough, Stump Cross Caverns and White Scar Caves, looking out for stalactites, stalagmites, hidden tunnels and caverns.